It doesn't get all that cold during the fall and winter seasons in southern California but based on the average temperature in this area, it gets relatively cold. It's a good excuse to indulge in soup...and I am a soup fiend, it feels like. I guess it stems from how we used to have some kind of soup or broth with every dinner when I was growing up. It could have been just as simple as a broth made from daikon but without fail, a small bowl to sup from would be the "first" course before we dug into the meal family-style. 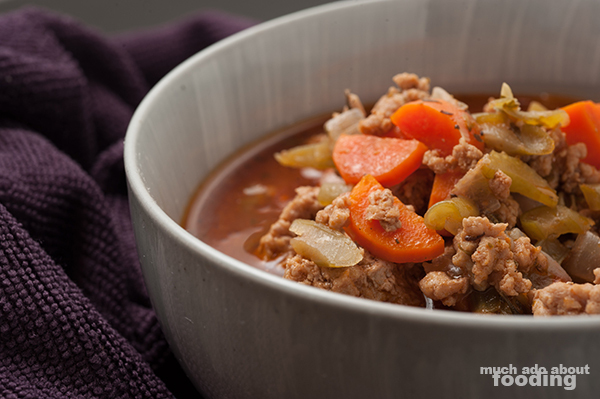 Soup is comforting but hearty, hefty ones even more so. 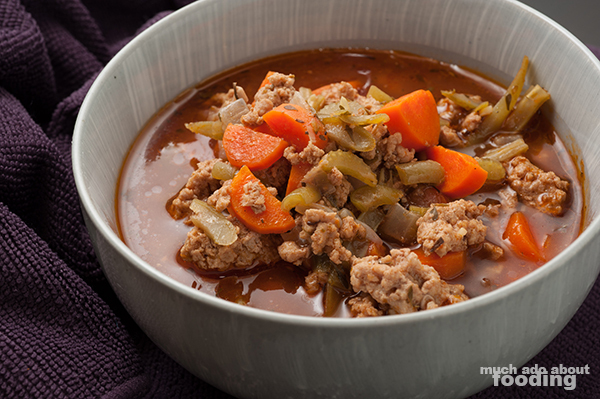 Combining the trinity of vegetables with some lean ground turkey yields this beautifully savory soup with a medley of components. I hope you'll give it a try and enjoy! There are certainly a lot of ingredients here but the most prep you'll need to do is just chop and slice. 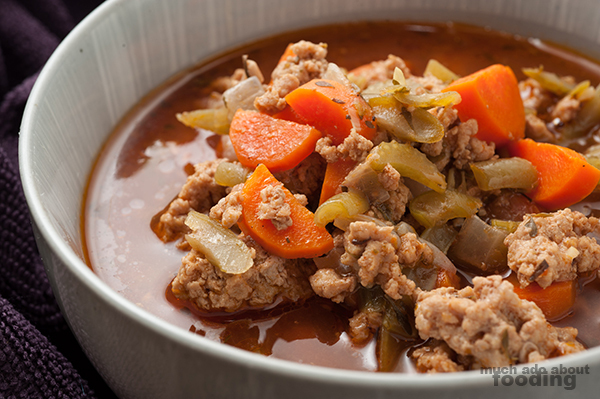 In a Dutch oven, brown ground turkey with celery and red onion. Then add minced garlic. Here's the easy part. Add remaining ingredients and bring to a boil. Then simmer for 45 minutes and enjoy!